One of the best things about the holiday season is receiving Christmas cards from loved ones near and far. So many of these greetings are so beautiful and creative that it's a shame to throw them away. 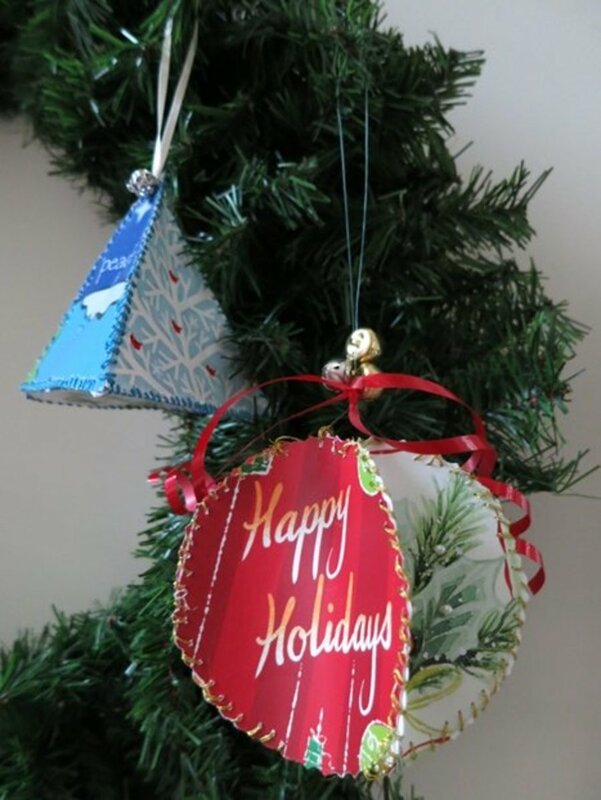 This easy holiday ornament project is a great way to recycle, upcycle, or reuse your favorite seasonal greetings into decorations that you can enjoy for years to come (you can also use pages from magazines or catalogs and photos!). 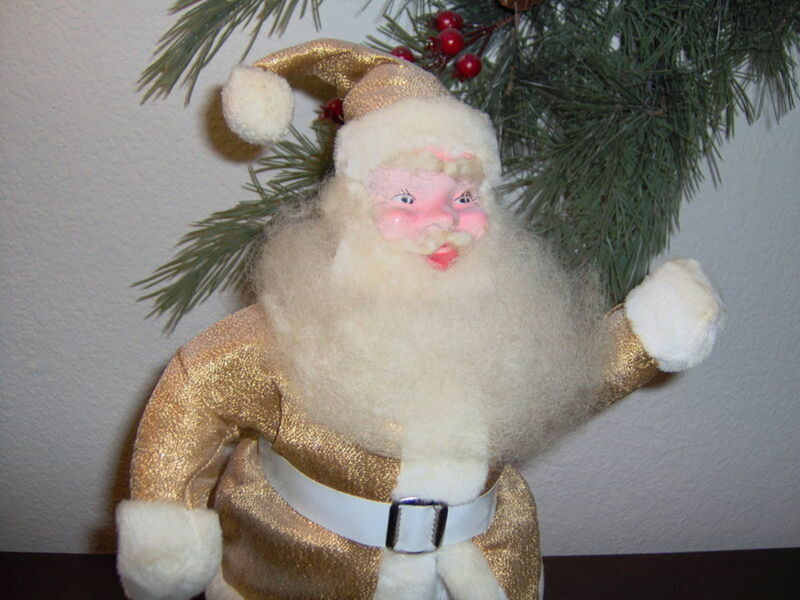 This project is also a fun holiday activity for children! 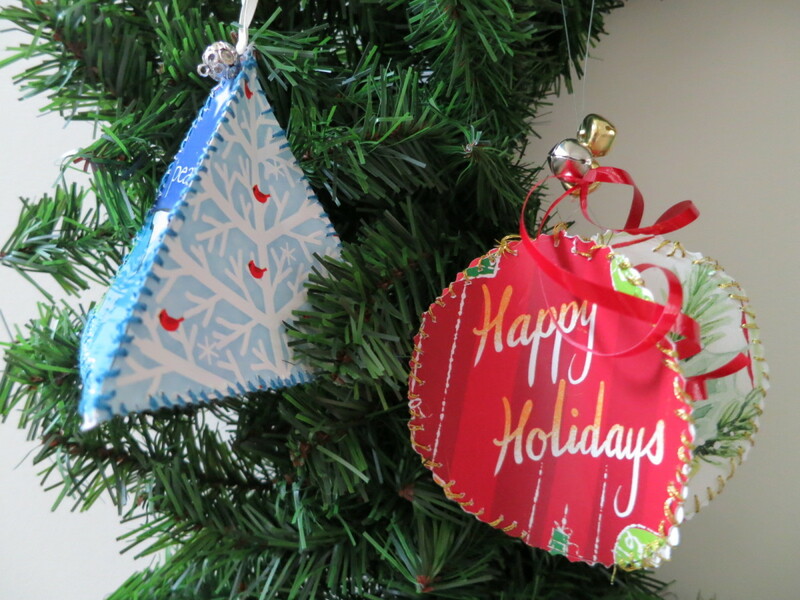 I've included directions for making two types of holiday ornaments: a circular ornament and a pyramid. The materials list is the same for both types of ornaments. Have cards with special messages or inscriptions? For this project, I used the images on the front of my cards. But if you have some greeting cards with personal inscriptions, like that sweet note from Uncle Lou and Aunt Ida, why not turn those into an ornament? Follow the directions below, but instead of cutting out your card's image, use your card's message or note as the decorative focus of your ornament. Creating a decoration that displays these personal messages will make an ornament that is truly special. 1. 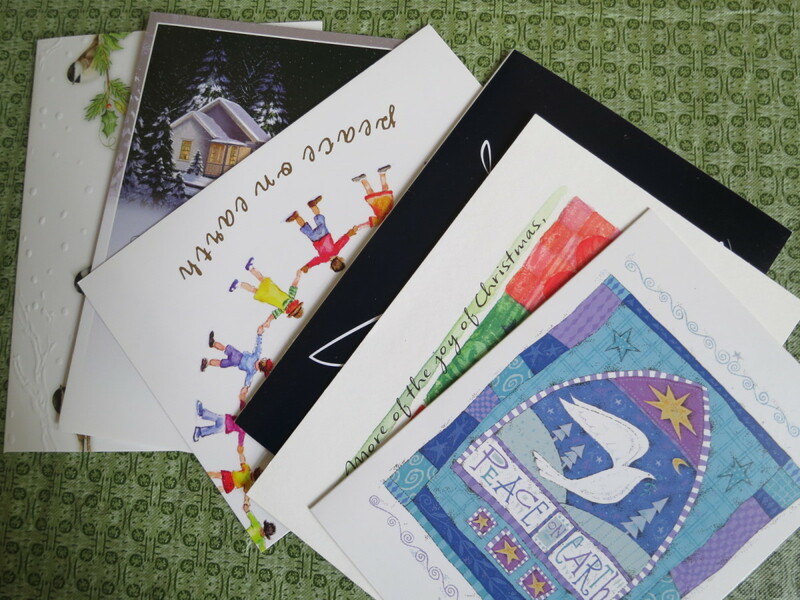 First step, select a bunch of greeting cards that you would like to use. You will be cutting round circles out of your cards. 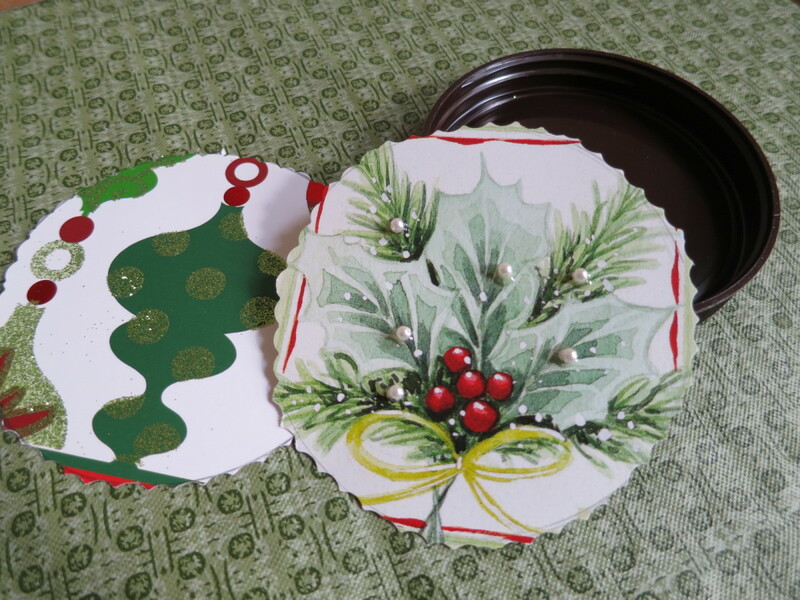 You can make your ornament using 3 circular disks, 4 disks, or 5 disks (I used 4 disks). Using a round template (like the top of a peanut butter jar), trace a circle on to your card that captures the image or area you want to use. If you are doing this project with children, you may want to make your circles a little bigger than mine. 2. Cut out your circles using straight scissors or decorative edge scissors. If you would like, you can enhance your card images with glitter, beads, sequins and other craft materials. For instance, I added little pearls to one of my card circles. 3. Once you have your disks cut out, lay them in a line in the order you want to use them (see photo above). Then take your embroidery floss or ribbon and start sewing the right hand side of disk A to the left hand side of disk B. I found it easier to hold the two circles back to back while I sewed the sides together. If you are doing this project with children or if you are sewing your decoration with ribbon, I suggest putting the disks back to back and punching holes around the edge to make the sewing easier. When sewing the circles together leave about a 1/2 inch gap at the top and the bottom of your disks. See diagram above. This will allow your disks to fit together correctly. 4. Continue sewing your ornament together. 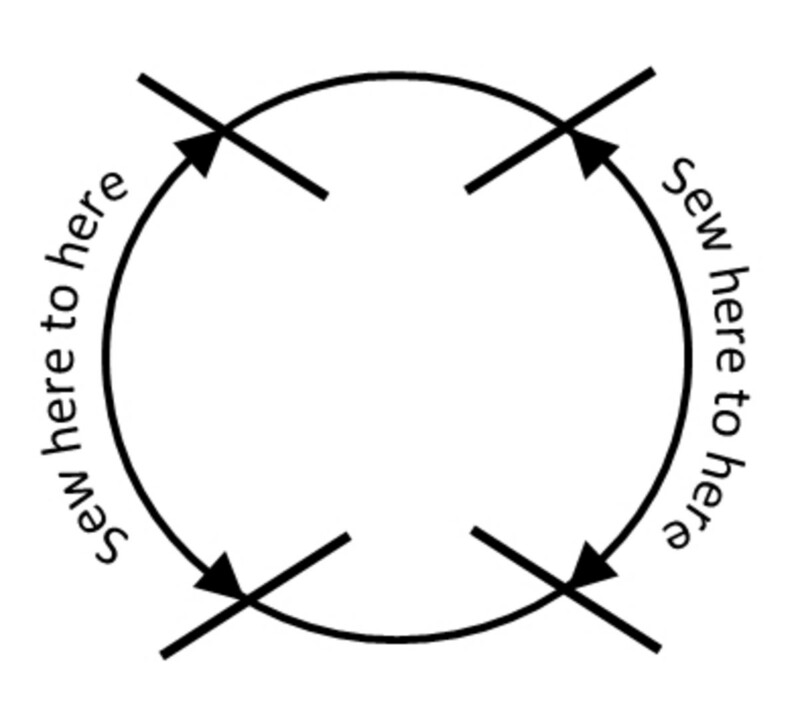 Next sew the right hand side of disk B to the left hand side of disk C. If you are making a four-sided ornament, then sew the right hand side of disk C to the left hand side of disk D.
5. 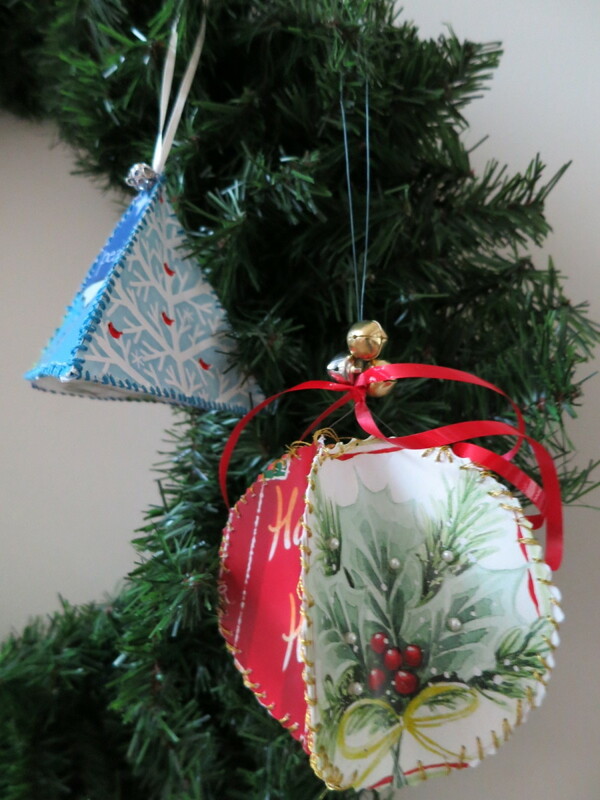 Close the ornament form by sewing the right hand side of disk D to the left hand side of disk A. Your ornament should look like the photo above. 6. 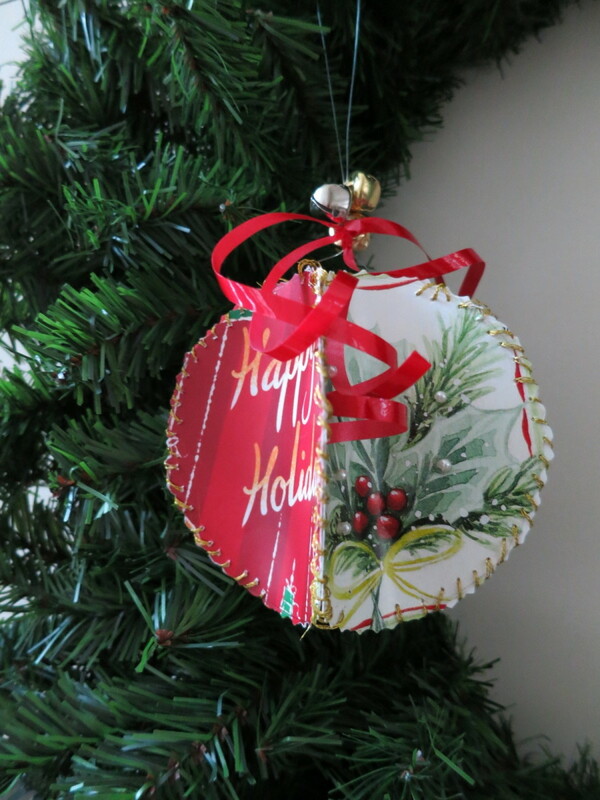 Using your sewing needle, draw some fishing line or ribbon through the top of your ornament to make a loop to hang it. 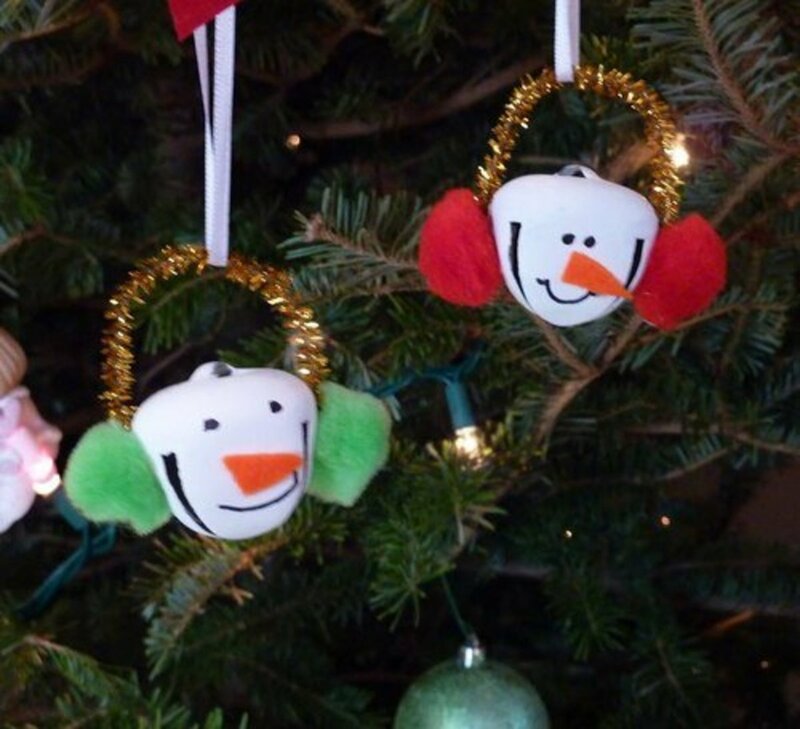 You can add some festive decoration to your ornament with curling ribbon or beads. I strung a few small bells to the top of my ornament. 1. Using some cardboard, draw an equilateral triangle with 3 equal sides. My template had sides that were each 4 inches long. 2. 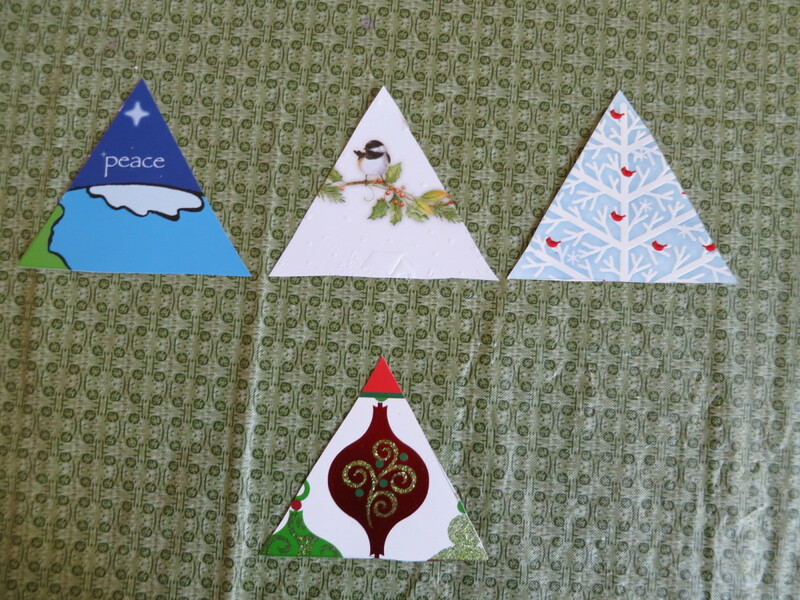 Cut out your triangle template with straight scissors and use it to draw 4 triangles on your various cards and images. 3. 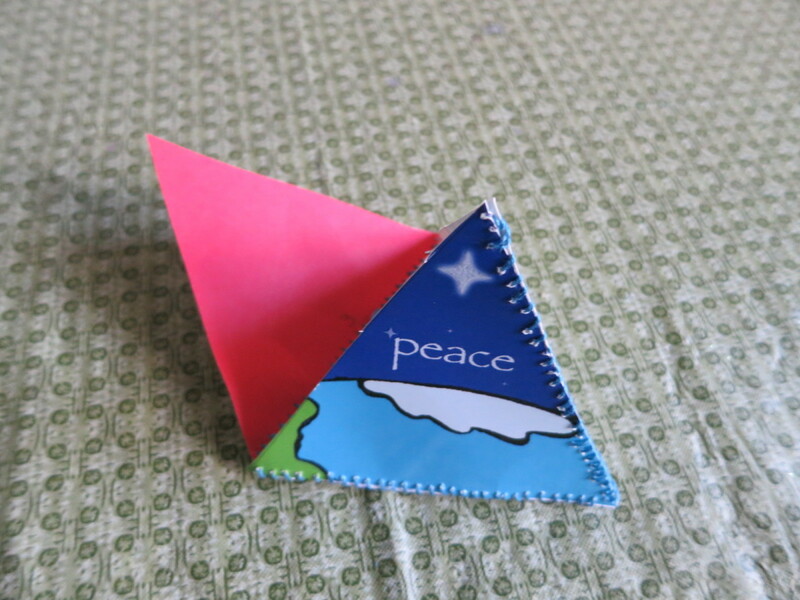 Then cut out your 4 triangles using straight scissors. 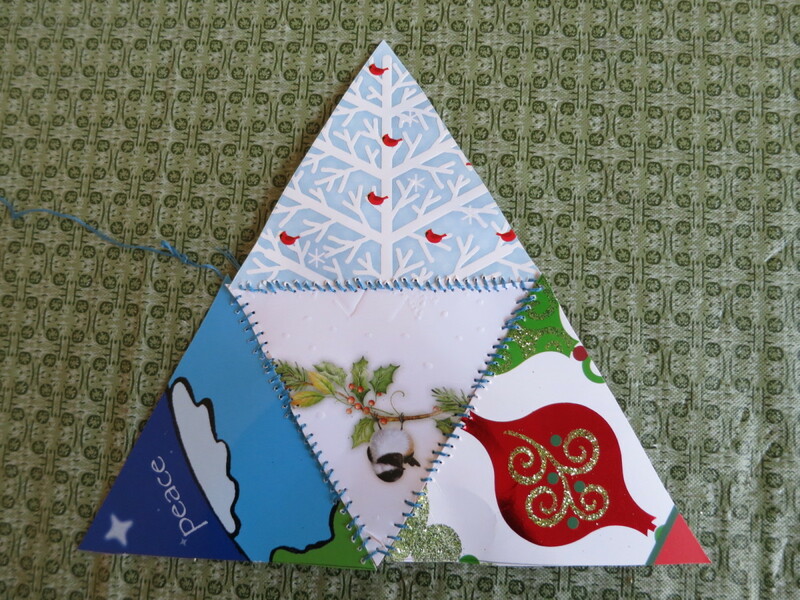 I would not recommend using decorative edge scissors for the pyramid ornament. Once your 4 triangles are cut out, you can decorate them if you choose with glitter, beads, and trimmings. 4. Decide which of your 4 triangles you want to use as your sides and which triangle you want to use as the bottom of your pyramid. Lay them out like the photo above. 5. Begin sewing your ornament together as seen in the photo above. I found it easier to sew all the sides to the bottom first, and then sew up the side seams to form the pyramid. 6. Once you sides are all sewn together, string through some fishing line or ribbon to use as a hanger. I added some beads to the top of my ornament too! Thanks, Chantelle! I hate to throw away any greeting cards. This is a great way to repurpose them and keep enjoying them for years to come. Thanks so much for your comments and share. I appreciate it! Fantastic idea and it cost so little. Plus it's filled with wonderful memories. Shared to my DIY group. Hi Valene - Glad you like them. This is a perfect time to make these ornaments: when all of the craziness of the holidays is over, but before you've stored away all your decorations and cards. I hope you make something you love! Thanks for commenting!! 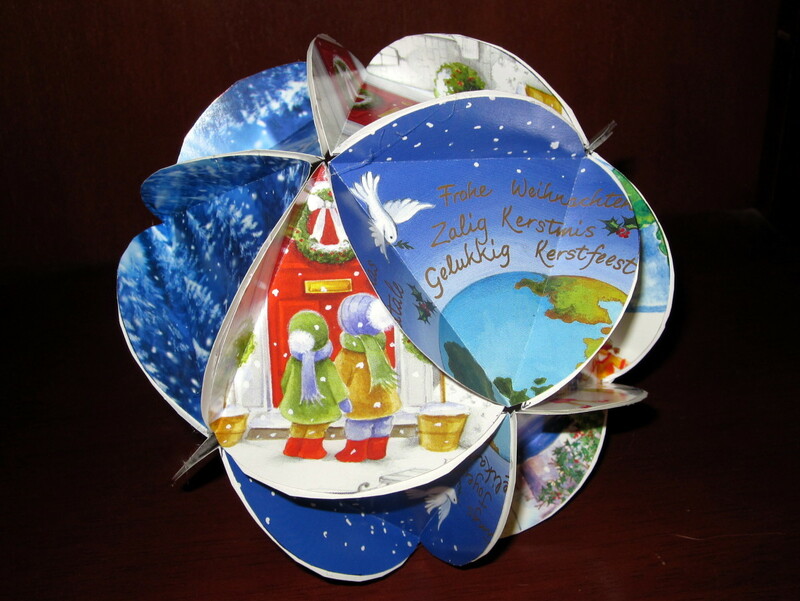 Love this idea, I have several old Christmas cards too pretty to throw away. Hi Glimmer Twin - I was thinking of you when I posted this project :) With your sewing and embroidery skills, I'm sure you could make some really stunning decorations with beautiful details! Good luck with your ornaments! I'd love to see them when you're done!! Thanks for commenting. 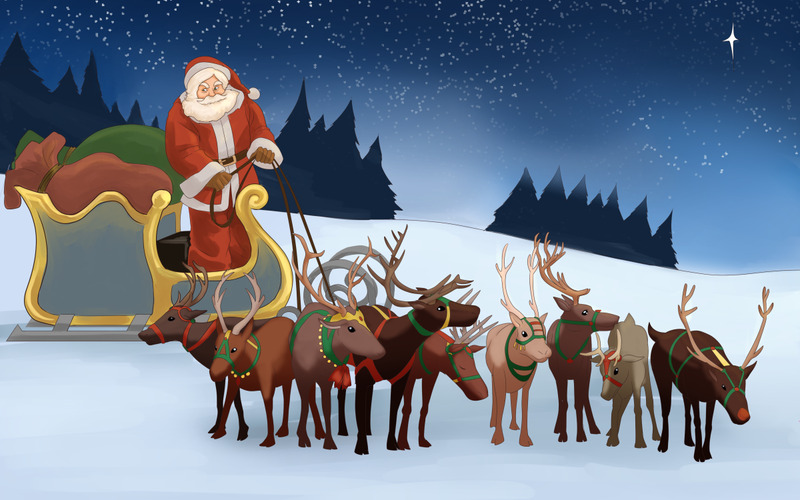 Have a wonderful holiday!! What a great idea. I always have loads of cards leftover. This would be fun when all the cousins are bouncing off the walls after the holidays too. Thanks for the nice hub. Thanks, Deborah! I love your ideas too, especially the gift card box - so clever!! Thanks so much for your comments!! Great idea! 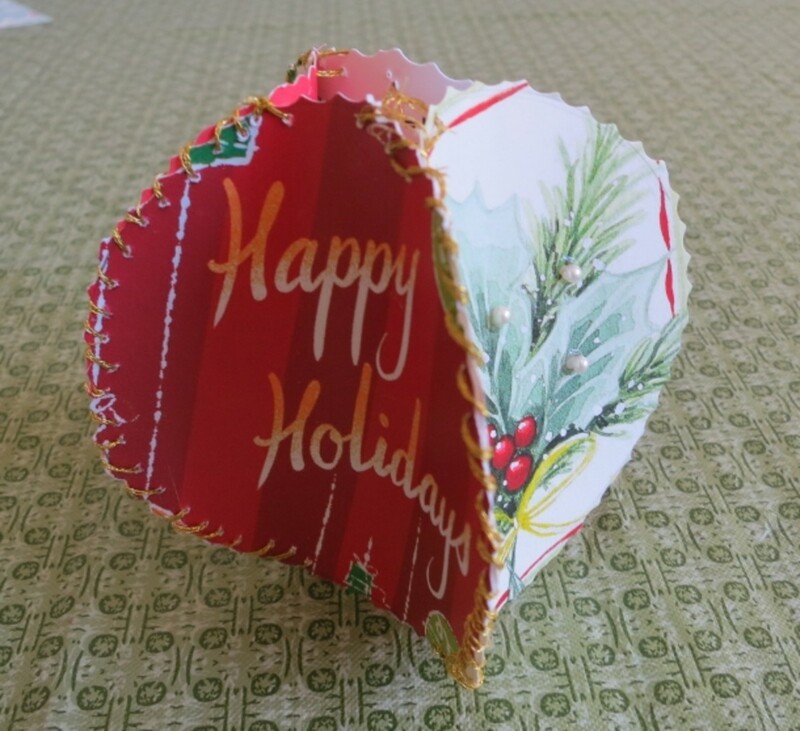 I recycle Christmas cards (even have my own hub about ways to use them). I will try this. You're welcome, Becky! Hope you have a great holiday season!! Thanks for stopping by and commenting!! Thanks for sharing this wonderful project. It will make a great project for the whole family. It's also a great way to be green by recycling old cards. Thanks for your comments, pin, and share!! Hi Suzanne! Glad to hear I'm not the only one who holds on to the cards I receive each year :) I'm glad I found the perfect project to use them and I'm thrilled that you like it too! Thanks so much for your comments!! 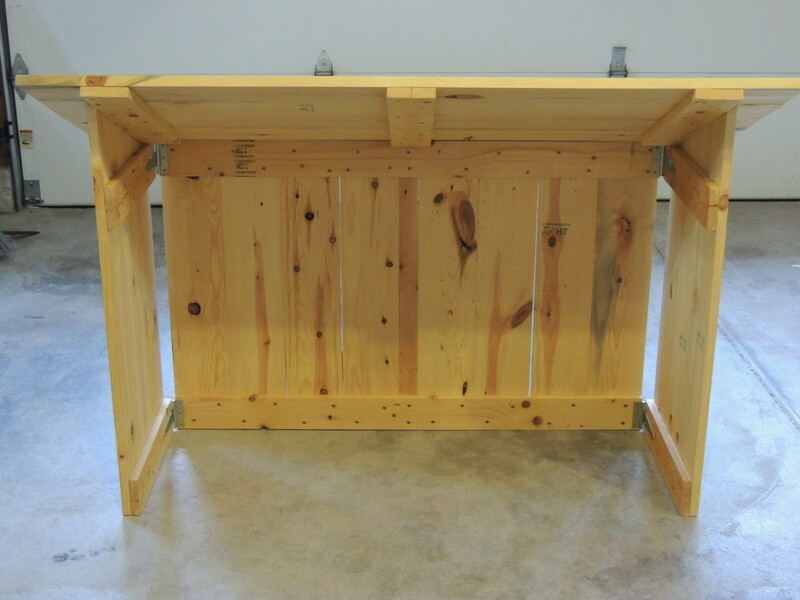 Lovely, easy project! Will have to try this when I get out my Christmas cards from yesteryear. Thank you for suggesting what to do with all the excess cards which I want to keep but which take up space to hang onto. Great project, Purl3Agony! 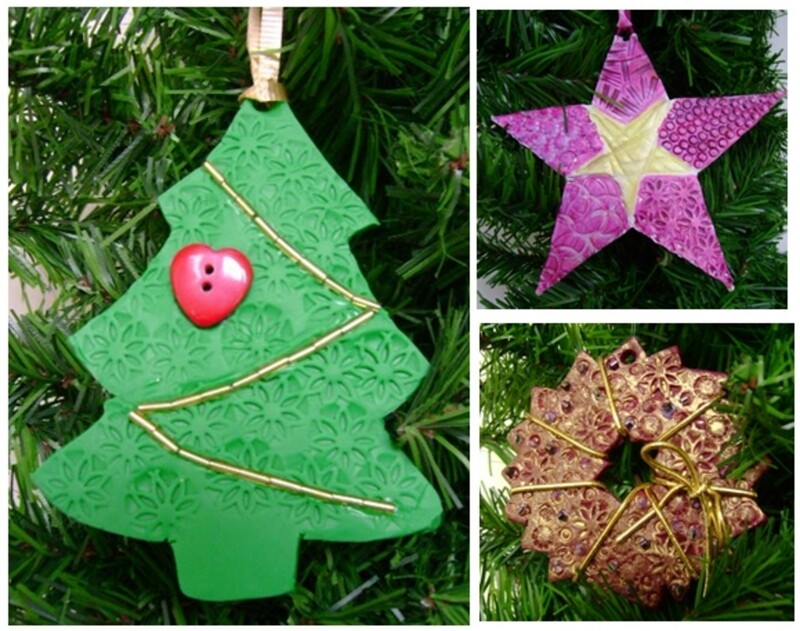 I love the idea to recycle greeting cards to create ornaments! It could be also a great project for kids! I love your pictures and the diagram! Thank you for sharing! Up, pinned, useful, beautiful and awesome!